It's been awhile since I've posted. It's not because I haven't made things to post, I've just gotten busy with life and time has been flying by. Maybe I should post all the cards I've made at one time.... 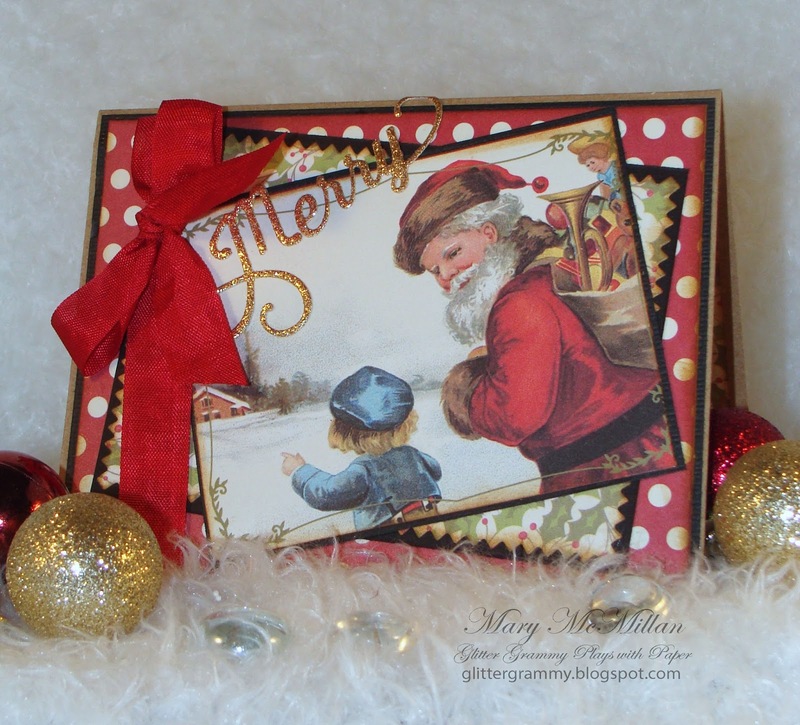 This card was made with a paper Karen just brought into Paradise Scrapbook Boutique. I love it. The graphic is from a sheet with 12 equally sized vintage graphics. It's a box of cards on one sheet. The collection is Christmastime, by Authentique. The papers are double sided and both sides of all the papers are gorgeous. The red paper is called Peppermint (the opposite side is candy canes) and the green paper is Evergreen and the opposite side has gorgeous writing on it. 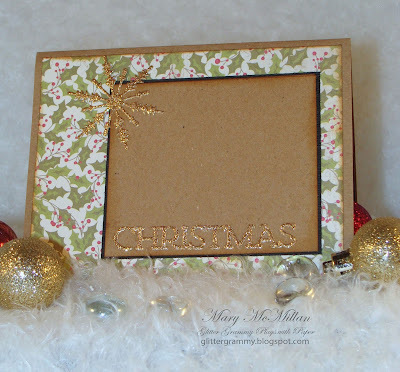 I love it when I can find papers that make creating a card easy. The inside could not have been easier! The dies I've chosen are new and I love the sentiment. Both are from the 2 die set by Echo Park. I purchased mine from PSB. The word Merry is in beautiful script and Christmas is perfect sized bold print. 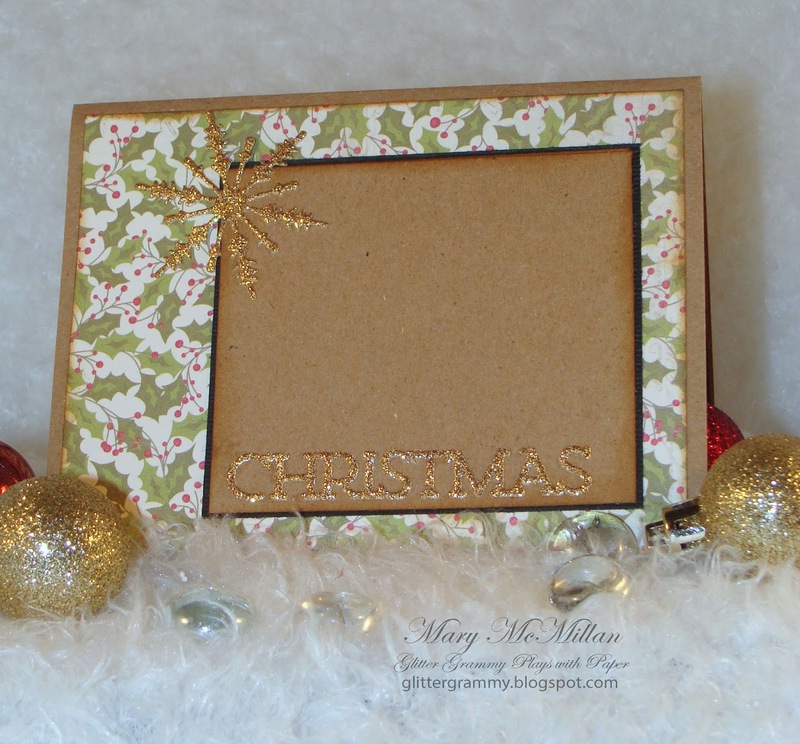 The Snowflake is also from Echo Park and both dies cut easily through the thin glitter card stock. I guess I should close for now, I have 10 more cards to make! Until next time, wishing my US followers a Happy Thanksgiving . While searching the web I found this calendar site - http://www.holidayscalendar.com/month/november/?year=2015 Who knew there were so many reasons to celebrate! Yesterday was World Hello Day and I missed it....so Happy belated World of Hello Day.